Today, on the 50th anniversary of Bob Dylan’s Nashville Skyline’s release date, Heaven’s Door Spirits announced it will open a distillery in Nashville in the fall of 2020. The super-premium whiskey brand was developed by SIP (Spirits Investment Partnership) in collaboration with Bob Dylan. 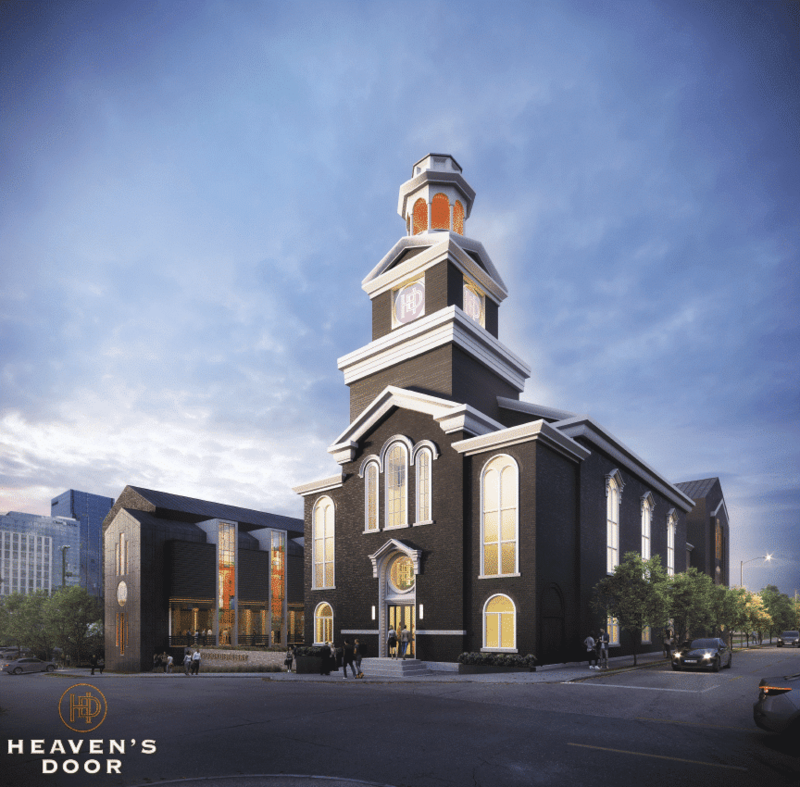 Heaven’s Door Spirits has revealed that the new distillery and center will feature a Heaven’s Door craft distillery, guided tours, a whiskey library, a restaurant, a 360-seat live performance venue and Dylan’s various works on display. The center will be housed in a renovated version of the 160-year-old Elm Street Church. Heaven’s Door’s original trilogy of craft whiskeys include a Tennessee Straight Bourbon, a Double Barrel Whiskey and a Straight Rye Whiskey finished in French cigar barrels from Vosges, France. In his 50 years as a cultural and musical icon, Heaven’s Door Spirits is Bob Dylan’s first and only consumer brand partnership.